We’re far from a game where Goblins can roll a Monk or where Undead can level a Paladin, but a similarly ridiculous race/class combination will be added soon in Legion. 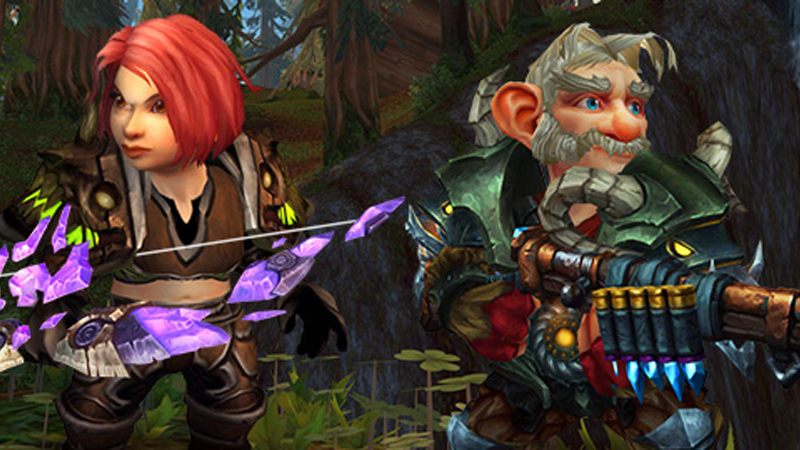 Gnome Hunters! This is something the WoW community was asking for (both seriously and ironically) since the beginning and looks like it’ll be more than just an extra X mark in the race/class chart. For example, one rare mechanostrider requires you to create a special punch card that grants access to a closed section of Gnomeregan (we hope you remember the way). Once you locate the clockwork creature, you’ll then need to figure out how to overload its circuits. Solve the puzzle, and you’ll have this magnificent mechanized minion striding by your side. What do you feed a high-tech pet that’s not technically alive? Mechanical Bits, of course! Hunters will be able to keep their shiny metal friends “happy” and “healthy” through the creative use of Engineering supplies such as a Handful of Copper Bolts. This makes Hunters available to all races in the game. They’re also one of the most powerful classes right now. Definitely smells fishy.